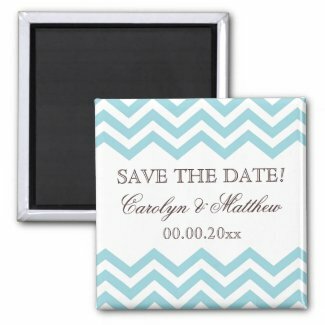 Modern and elegant Save the Date magnet featuring aqua or pale sea blue chevron pattern borders top and bottom. Customizable brown text: bride, groom and wedding date. Matches the same style Wedding invitation with matching stationery. Available in other colors. Click on the image for details.